We want to thank all the people who have helped and supported us in the past, and will do so in the future. Most of all we want to thank Jah, without him nothing is possible! We had the honour to go to the Dubcamp festival with our full sound to play alongside Shalamanda Hi-Fi and Jah Youth soundsystem. 11 hours on the road, well worth it. Lovely festival, great vibes! 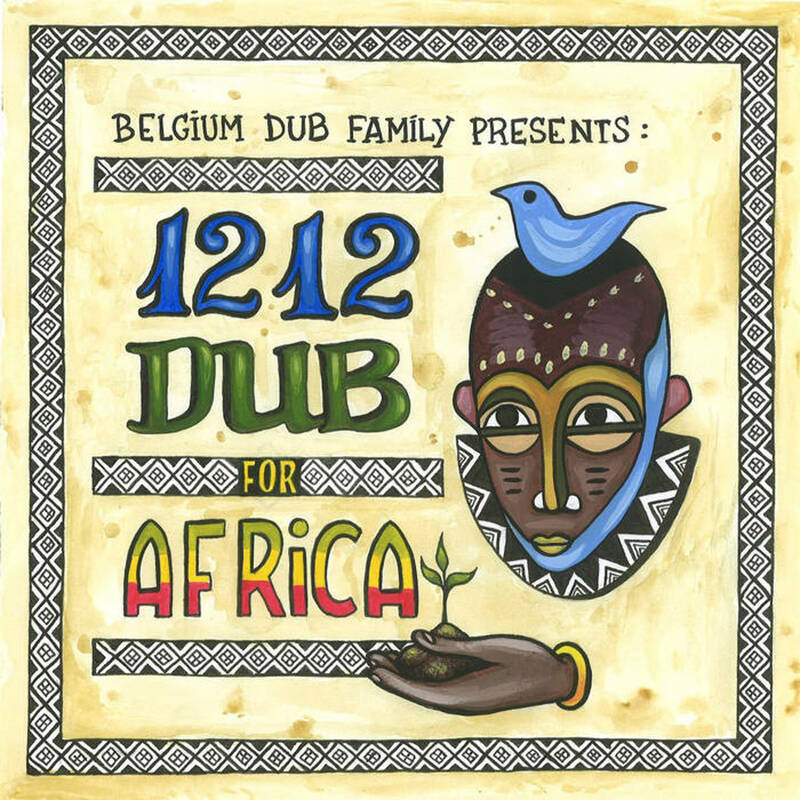 We participated in a collaboration between more than 20 Belgian dub artists to support 1212. This projects aims on battling the famine that threatens 20 million people in South Sudan, Yemen, Somalia and Nigeria. First time our sound system goes to the Netherlands. Expanding the borders! One of the goals from day one has been fullfilled: playing with the sound in the UK. Small attendance but an experience never the less! Rootsman link up inna Antwerp! The long awaited meeting between Chalice and Jahmbassador was a heavy dance, full of vibes and a great attendance. 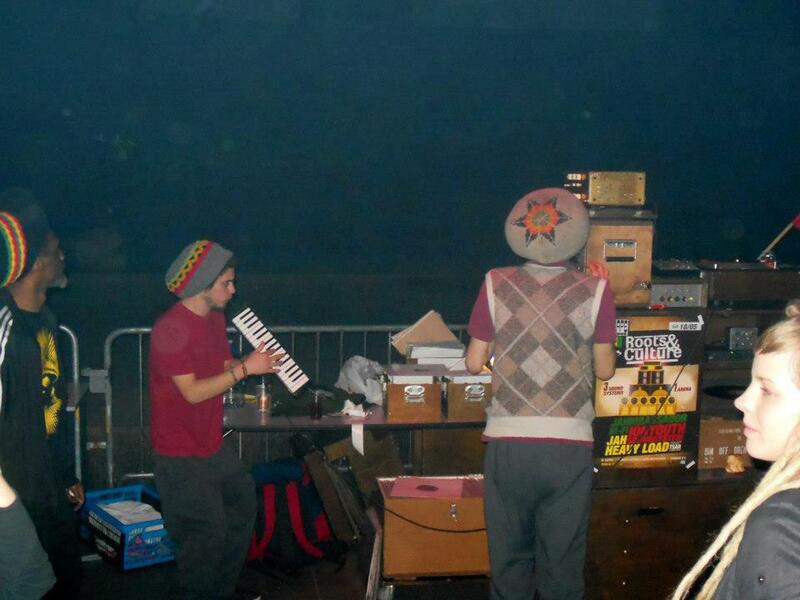 Impressions from reggae.be. The third release on the Jah Embassy Music label htis the streets. Second 7" press called 'Roots Revolution' with Idren Natural on vocals. Our online representation was getting outdated so it was time for a renovation. The new website features improved content, fitted in a clean design with support for mobile devices. After years of filming, the makers of the belgian documentary BelDUB are starting to screen their film at various reggae events in the country. 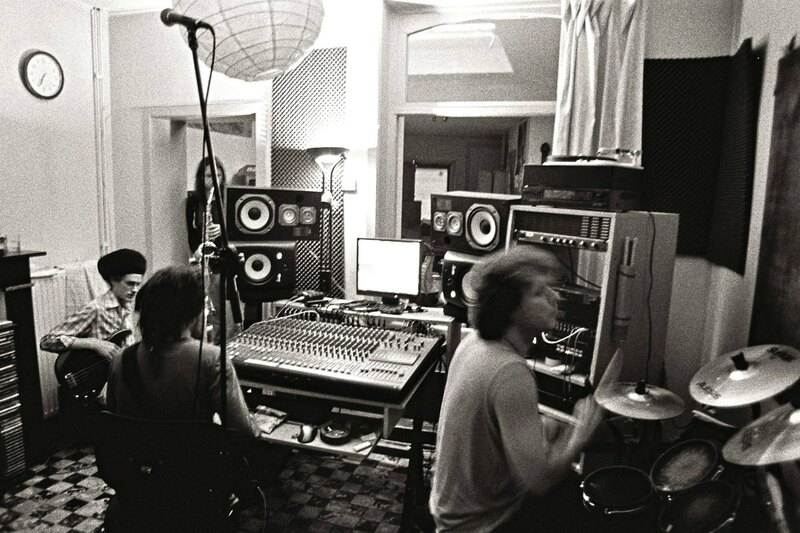 Jahmbassador Hi-Fi and Jah Embassy Studio are featured in this film. 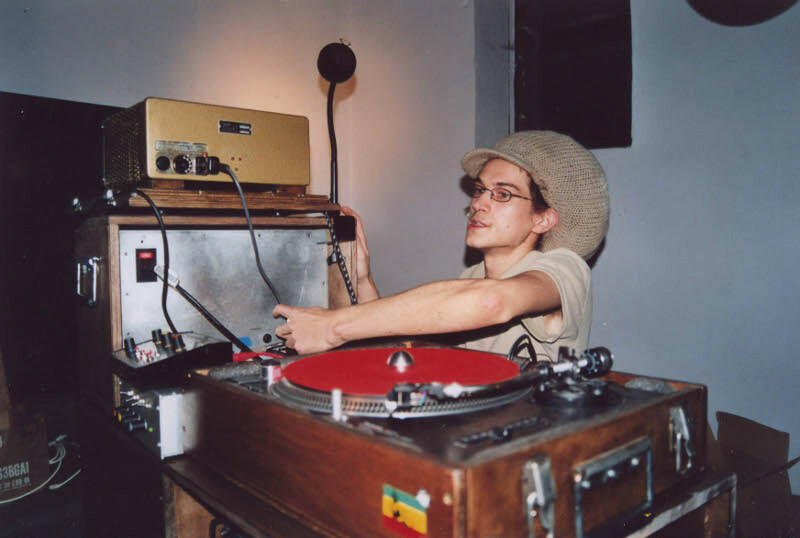 To celebrate the 5th earthstrong of the soundsystem, we put our hands together with Daan from Escape. 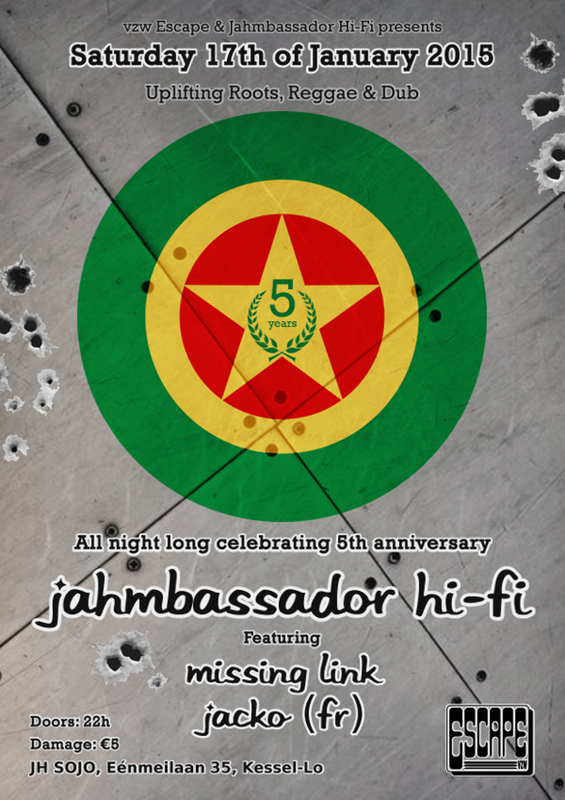 Whole night Jahmbassador Hi-Fi in session with Missing Link as MC and Jacko as singer. It was a roadblock and lasted till 6:30 in the morning. A worthy celebration full of vibes! 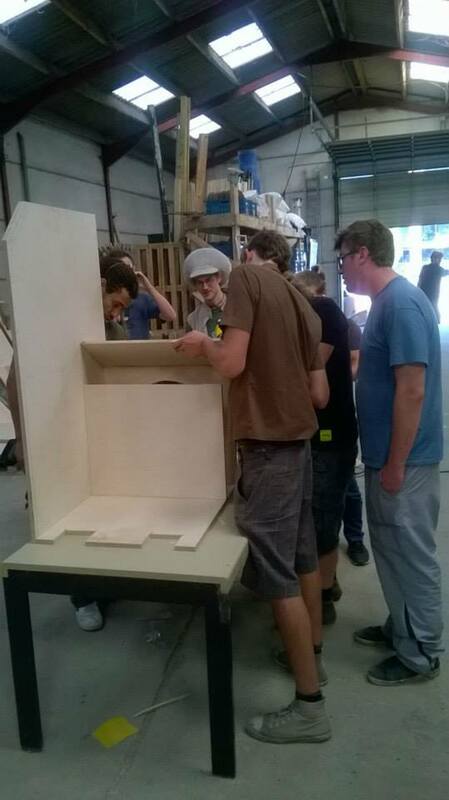 54kolaktiv from Brussels created a crowdfunding project to build a soundsystem which can be rented as a PA. The system would be build in a workshop of a week. When the required amount of money was gathered, they asked Ionyouth and us to help with the actual construction. 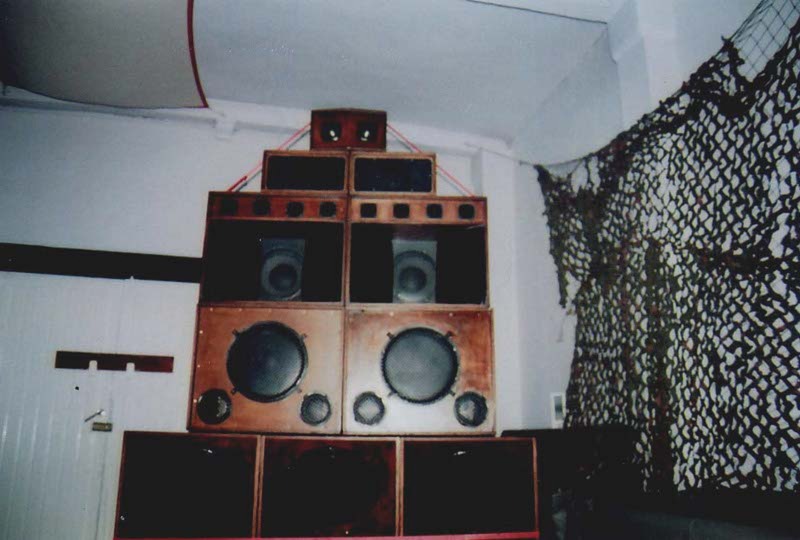 The soundsystem is now running under the name Discobar Bruxelles. Reggae Bus invited us for the 5th time. 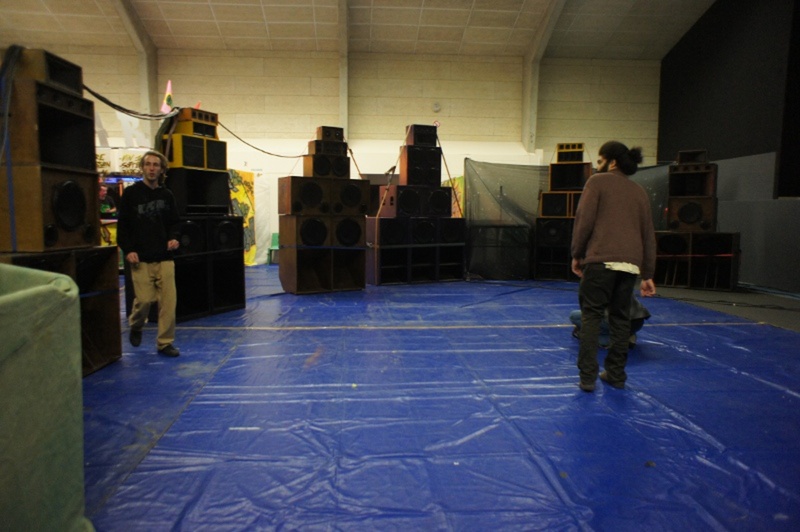 8 hour session longside Justice Soundsystem to open up the festival. Perfect opportunity to play the sound with 4 stacks. The second release on the Jah Embassy Music label sees daylight. A 10" press with 'Set An Example' featuring Nya Azania and 'Ganja Tour' featuring Danny Red on the flip. Jah Fire will be burning! Heavily booked with 5 sessions in 2 months time. Traveling up and down the country to spread Jah word, sound and power. It was available since half december but no distribution was arranged. Now linked with David Dubwise from London, our release is hitting the popular reggae shops like Dubvendor, Reggae Music Store, Jah Waggys, Blakamix, ... It seems to be selling like sweat breads, giving us more recognition for our works. The first release on our Jah Embassy Music label was sent off to the press. 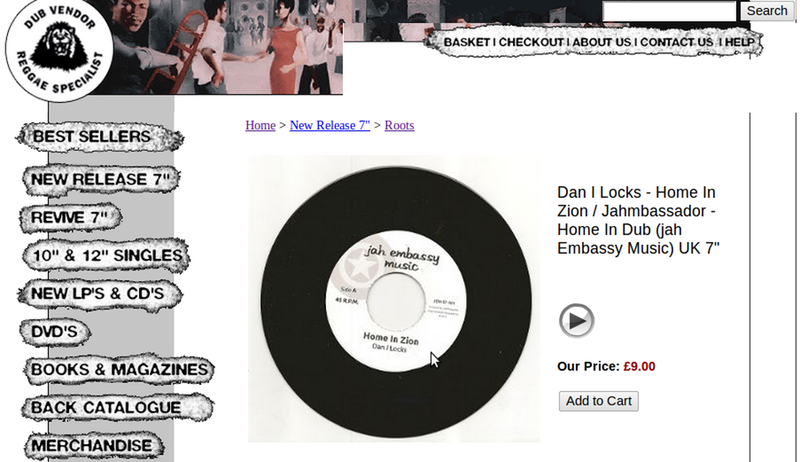 300 pieces of a 7" titled 'Home In Zion' featuring Dan I Locks were pressed. Catching a french vibe for the third time in a year's time. Roots Mediation Soundsystem invited us to play in a special location: above a horse stable! Vibes till morning light! We must have left a good impression with Kiraden in Lille since they invited us to come and play a session in Dijon. After a long trip with the sound, we received a warm welcome from the Kiraden family. Great country side to relax. The session was very rootical and upfull. When opening the doors at 22, already 50 people entering. Vibes from the start! 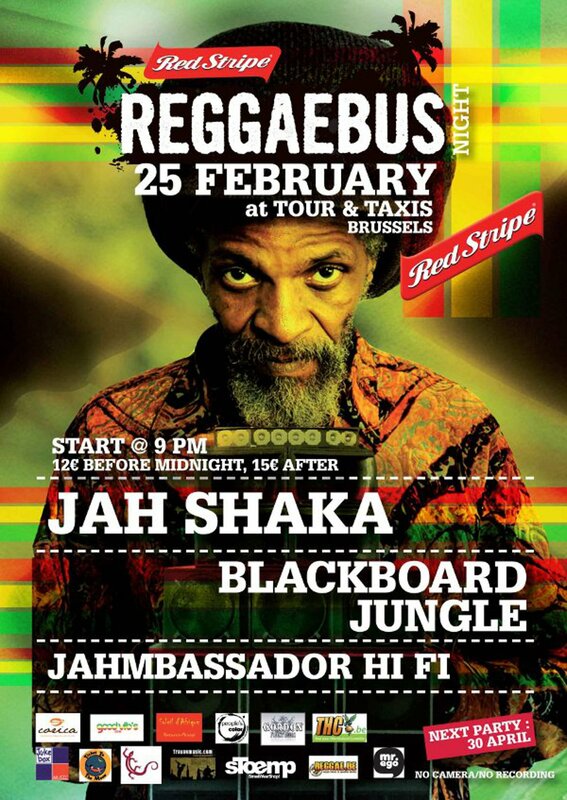 Reggae Bus invited the legendary Jah Shaka to play at Tour & Taxi's in Brussels. We warmed up for the Zulu warrior longside Blackboard Jungle who then hosted him. The session sold out and a large crowd was waiting outside unable to get in. Inside, Jah Shaka was rocking it! Agobun from Lille invited us to play with them and Kiraden from Dijon. First session we played in rotation with 3 sounds. Some electrical outages for our sound but the vibes were just plain right! This session created bridges with the french massive. Experience and equipement were gathered and tunes built. Expect some vibes from the Jah Embassy Studio in the future. 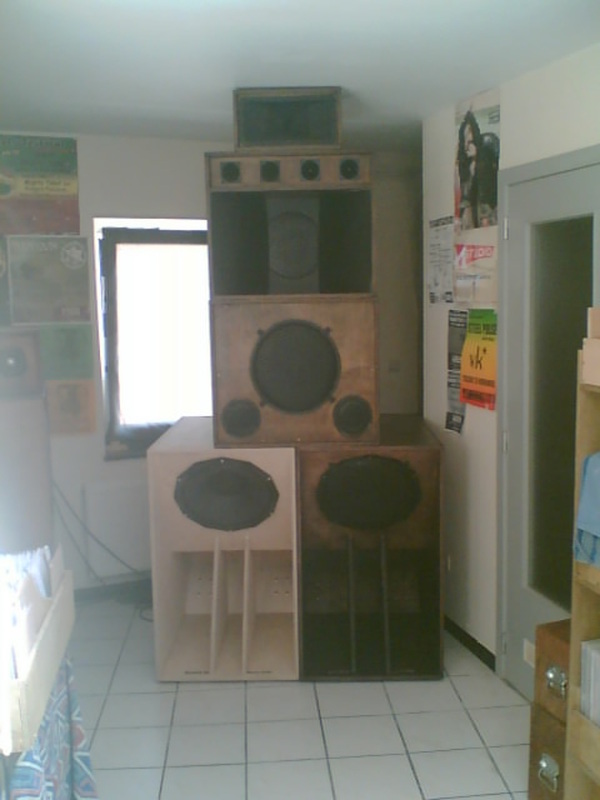 Mike from Dub Wise wanted to hold a soundsystem night in the Vooruit. He asked us to be the hosting sound and gave us the opportunity to choose international guests. With Dub Judah and Young Warrior, this session was the first to hold 3 of our stacks indoors. Still burned in the memories of many! After reasonings with the people from Reggae Bus, they agreed to book us again but this time with our own soundsystem. For this outdoor session, they invited Ashanti 3000, Bush Chemists and Aba Shanti I with us as hosting sound. It was the first time with the full soundsystem and turned out to be a great success. 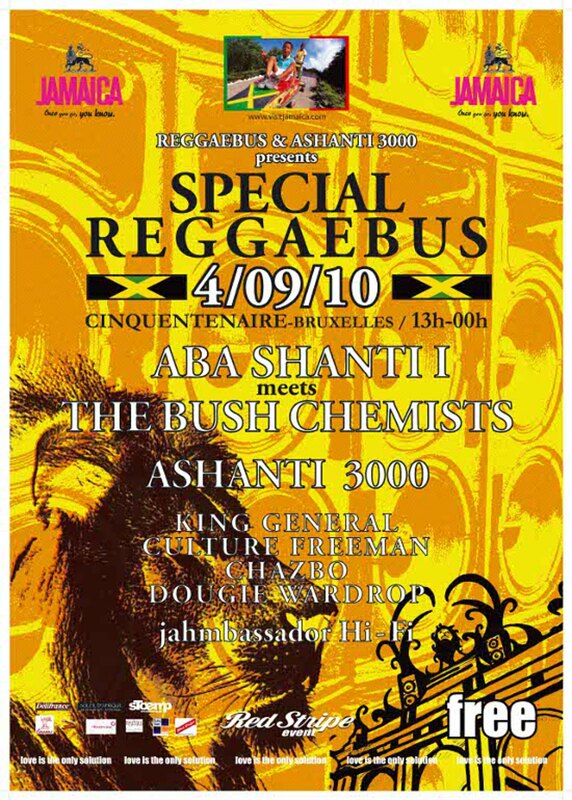 The great collaboration with Reggae Bus, who would later start with a big reggae soundsystem festival in Brussels, rooted here. After the Escape To Dub session in Aarschot, it was clear we needed more boxes if we wanted to cover more people. We expanded the sound to 3 stacks of 2 scoops. It had taken more then a year but we finally took the time to create our website. 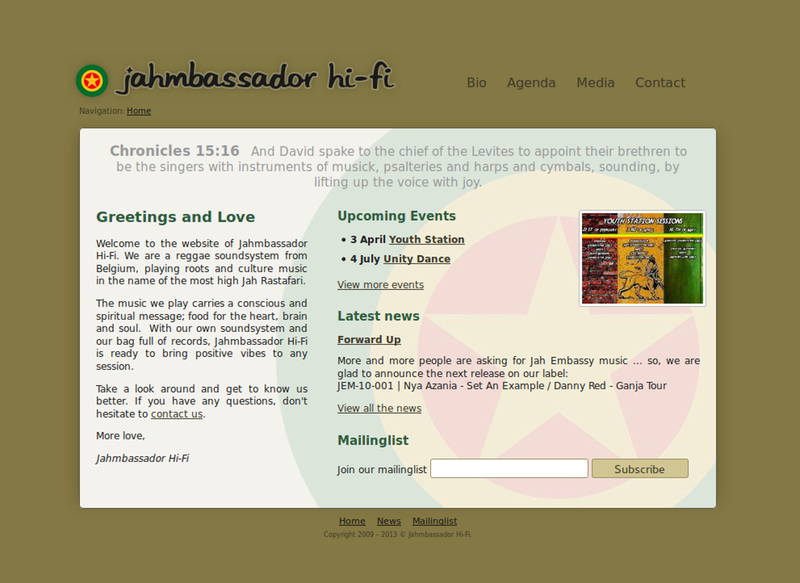 Now there was a contact point for the people who are not familiar or not in a direct link with Jahmbassador Hi-Fi. 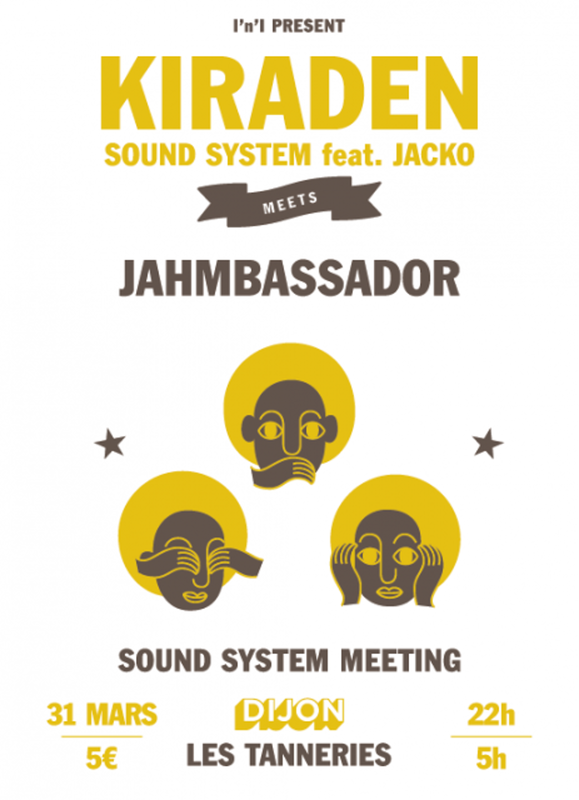 The official start of Jahmbassador Hi-Fi, a session in Tienen alongside High'r Ites Soundsystem. We received a lot of positive feedback from the people but there was still enough to be learned. 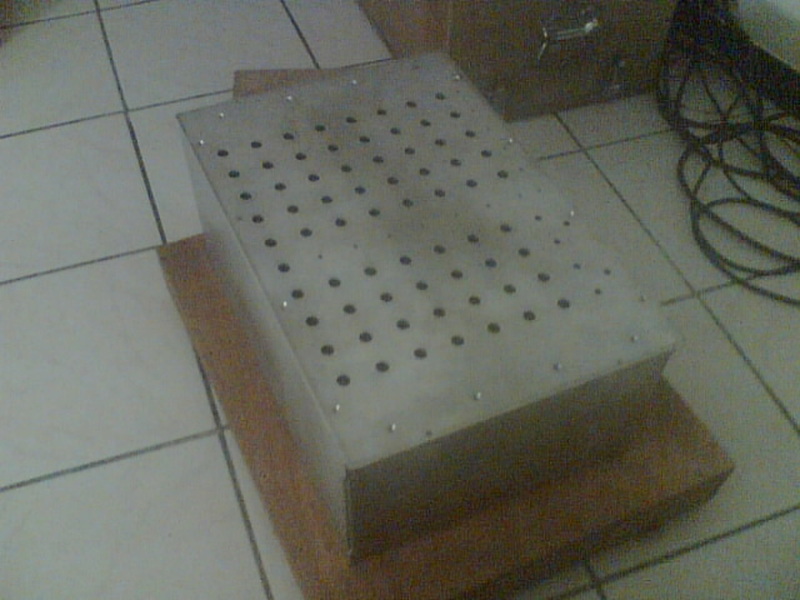 The initial build consisted out of the control tower and one stack with 3 scoops, 2 mid-bass, 2 mids and some tops. Some other boxes from Kaya's Ionyouth era were also given a new color and ready for the future expansion. A custom preamp was already ordered in the UK. It was time to build some boxes and the control tower. 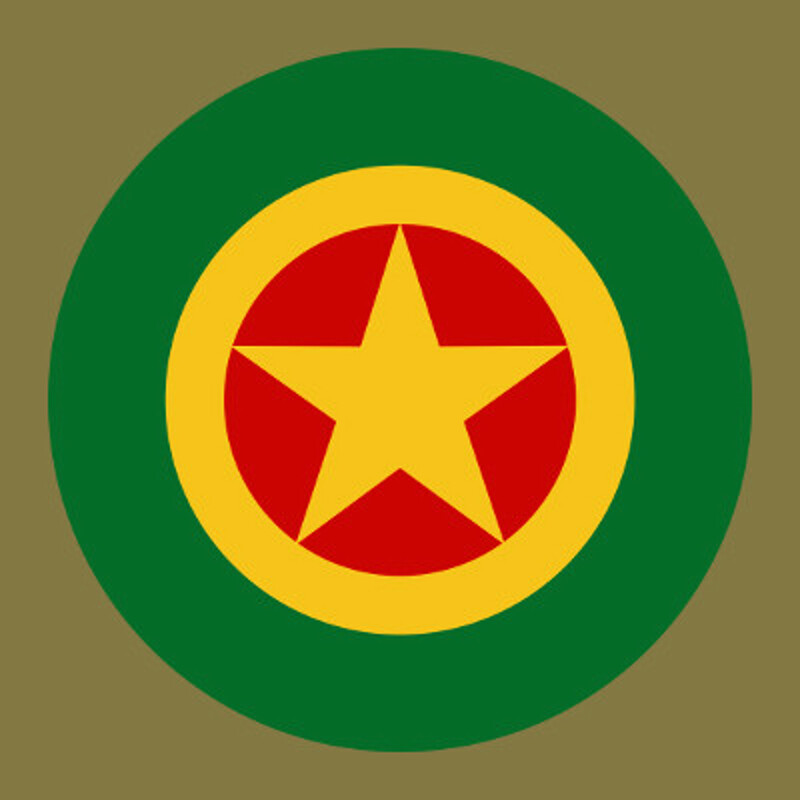 It became Jahmbassador: the name of Jah, the highest being of all, joined with ambassador, a representative stationed in a foreign nation. We try to be ambassadors for Jah here in babylon, spreading peace, love and unity wherever we come. The Hi-Fi part is used whenever we play on their own custom soundsystem. It states the high quality of the sound it produces. 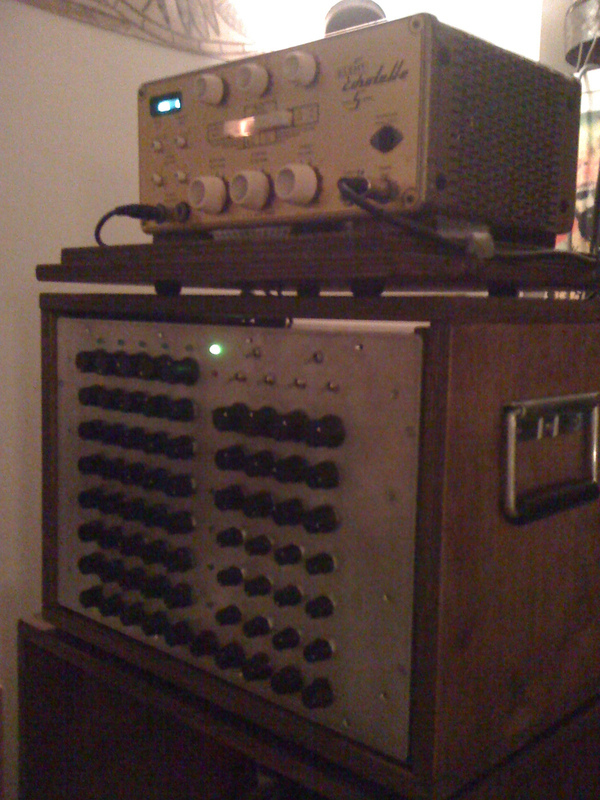 The preamp is the heart of the soundsystem. 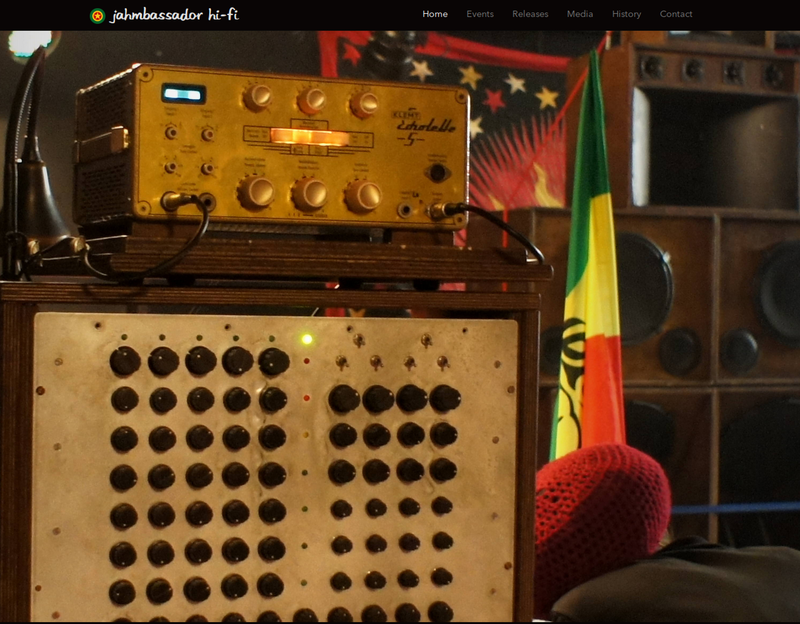 It's a custom made mixer specialized in tuning reggae music. Kaya had just left Ionyouth and was looking for something new. Along came Fayaman (also known as Milo) who was eager to help Kaya. 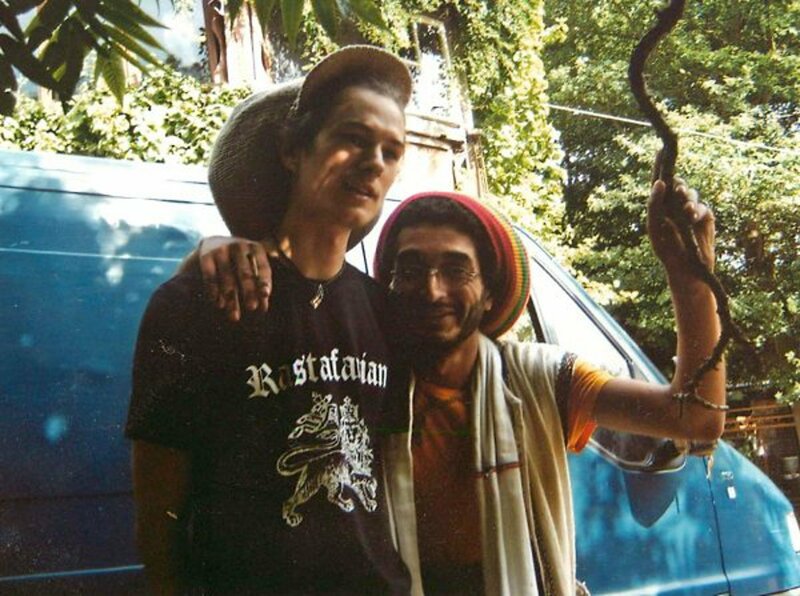 Together they had many reasonings about the current status of the reggae scene in Belgium and decided to start a new soundsystem.